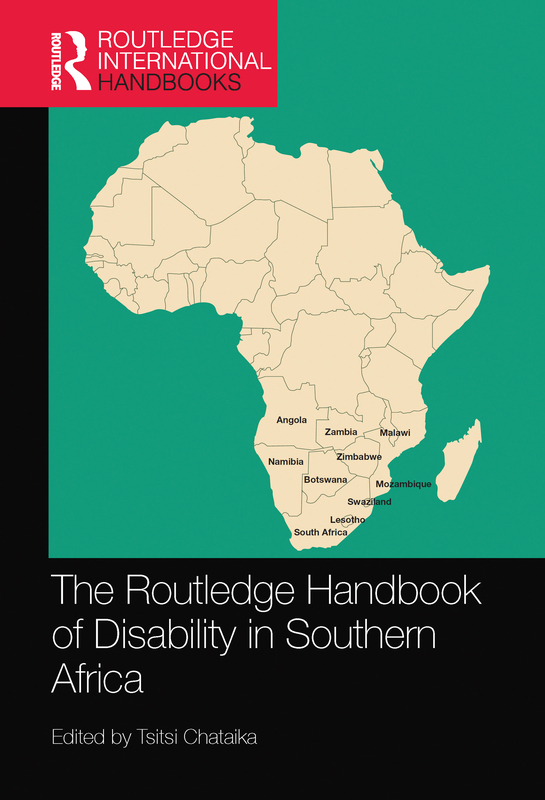 This comprehensive ground-breaking southern African-centred collection spans the breadth of disability research and practice. Reputable and emerging scholars, together with disability advocates adopt a critical and interdisciplinary stance to prove, challenge and shift commonly held social understanding of disability in traditional discourses, frontiers and practices in prominent areas such as inter/national development, disability studies, education, culture, health, religion, gender, sports, tourism, ICT, theatre, media , housing and legislation. This handbook provides a body of interdisciplinary analyses suitable for the development of disability studies in southern Africa. Through drawing upon and introducing resources from several disciplines, theoretical perspectives and personal narratives from disability activists, it reflects on disability and sustainable development in southern Africa. It also addresses a clear need to bring together interdisciplinary perspectives and narratives on disability and sustainable development in ways that do not undermine disability politics advanced by disabled people across the world. The handbook further acknowledges and builds upon the huge body of literature that understands the social, cultural, educational, psychological, economic, historical and political facets of the exclusion of disabled people. • Compelling narratives from disability activists on societal attitudes toward disability, media advocacy, accessible housing and social exclusion. Thus, this much-awaited handbook provides students, academics, practitioners, development partners, policy makers and activists with an authoritative framework for critical thinking and debates that inform policy and practice in incomparable ways, with the view to promoting inclusive and sustainable development.